This upscale, beautifully furnished 3 bedroom, 2 1/2 bath townhouse in Lake George has an unobstructed view of the Lake. You'll enjoy stunning views of the Lake from almost every room. Relax on the deck or screened porch. Rental includes use of private beach. The heated outdoor pool, tennis court and fitness center are just steps from the front door.The house is located in the desirable Green Harbour complex about 3 miles from Northway exit 22. Lake George is approximately 32 miles long and is nearly 2 miles wide. The shoreline is beautiful and quiet and there are a lot of sandy beaches. Within 15 miles there are over 15 public golf courses. Saratoga Race Track is 25 minutes away. Great Escape Amusement and Water Park is truly a big time amusement park experience, and The Magic Forest is great for young children. All of this within 3.5 hours of New York City. Golf: Lake George Village is fun! Lots of shops and family friendly. Home to several miniature golf courses which are open until late, bring mom & the kids for lots of fun. Just up the road is the Village of Bolton Landing with more shops and it own quaint appeal. Ski: Gore Mountain is a short ride to some of the best skiing in New York. A family center, ski lessons, or just warm up by the fire. Convenient to Saratoga Race track. Close to town and all attractions. Sleeps 6. 3 Kings and a futon , or 2 Kings and 2 twins plus a futon. The setting is amazing. The View! The home is light and bright. The pool is right across the street. I love having a corner unit. The upstairs Master is a wonderful oasis. The walk in closet is huge! green harbour has one of the nicest and largest beaches on the entire Lake. Internet access upon request; additional charges may apply. Lovely view, nicely furnished, great location. A well appointed and spacious condo.The neighborhood is very quite.The description of the condo is correct, luxury condo with amazing view. Plenty of parking. The kitchen had a well stocked pantry as well as plenty of dishes, silverware & cooking equipment. We loved the 3 bedroom, each of our adult children had their own rooms. Master bedroom is great. Also, a bonus was that we didn't have to bring our own bedding (king size beds). We have stayed in other Green Harbor units and the bedding was not included. Boat slip was at a newly built dock, very nice. Of course, you can't beat Lake George, the queen of lakes! Thank you for your lovely review and for being such considerate guests! 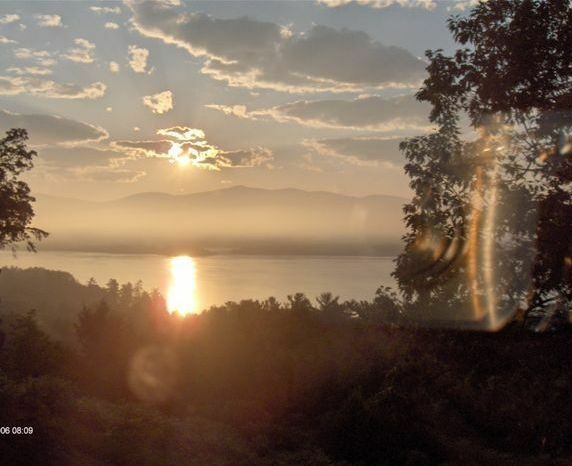 We hope if staying inLake George is in your future, you'll stay with us again. Great view, welcoming, clean & spacious home, very close to Lake George town, Bolton Landing, Saratoga Springs and outlet malls for those rainy days. Not an evening went by without a glass of wine on the screened in porch, enjoying a view of the lake. Enjoyed our stay very much! Bethe was great to deal with as well. Thank you! We are so glad you enjoyed. Best wishes to you and yours.